Android has come a long way since its inception. It now runs on millions of mobile phones and has seen the largest growth of all the smartphone platforms, leaving even iOS behind. It has more than 20 hardware partners shipping it on smartphones, tablets, and even e-book readers. Some of the major partners are HTC, Samsung, Motorola and Sony Ericsson. Samsung has had quite a lot of success with Android. It started using Android for its smartphones with the Samsung Galaxy i7500 which was a mild hit. Next, it released the Samsung Galaxy Spica i5700 which went on to become a big hit, being one of the cheapest Android smartphones. 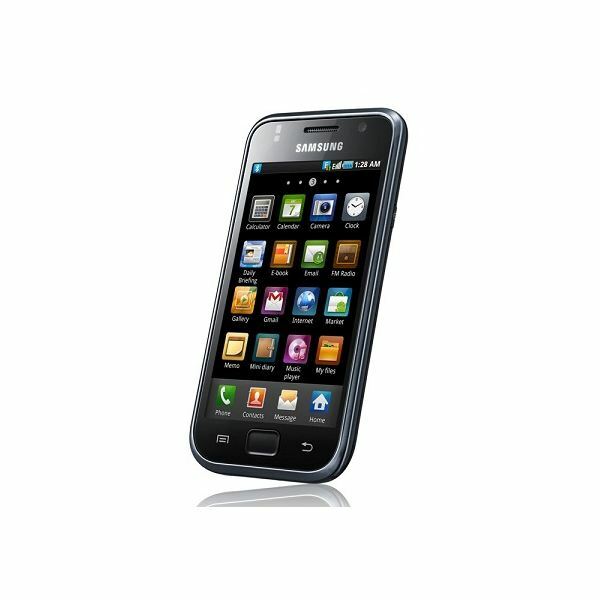 The launch of the Samsung Galaxy S I9000 was what really put Samsung on the Android map. It was the flagship Samsung Android smartphone and released with Android 2.1 running on some of the best smartphone hardware available. It has since been updated to the Android 2.2 OS (and even 2.3 in some places). The Samsung Galaxy S II is out now but the original is still one of the best options out there if you are looking for a good Android smartphone. The Samsung Galaxy S sports a nice minimal design and is dressed almost completely in black. It is a bit big, owing mostly to its large 4 inch display which takes up most of the front face. Below the display lie three touch sensitive keys: options, menu and back. On the left side lies the volume rocker while the right side sports the power button. On the top, you will find the microUSB slot and the 3.5 mm audio jack. On the back of the phone, there is the 5 MP camera and the battery compartment. The overall dimensions of the phone are 122.4 x 64.2 x 9.9 mm and the phone weighs just 118 gms. The Galaxy S is one of the slimmest smartphones. The build quality is pretty good and the body of the phone is quite sturdy. The Galaxy S sports a truly awesome 4 inch Super AMOLED capacitive touchscreen display with a resolution of 480 x 800 pixels and support for 16M colors. It is one of the best smartphone displays ever. The quality of the Super AMOLED display is excellent and has great brightness and contrast levels. The colors are vibrant and pop out of the display. It is just as good as the iPhone 4's retina display, if not better. The display is ideal for watching movies and playing graphic intensive games. The capacitive touchscreen is very responsive and allows you to navigate through the Android UI easily. The Samsung Galaxy S comes with some of the best hardware. It is powered by an ARM Cortex A8 processor clocked at 1 GHz and has 512 MB of RAM. It also has 16 GB of internal memory which can be expanded to 32 GB using a microSD card. The hardware configuration is identical to the iPhone 4 or the Motorola Droid X. There are more powerful smartphones hitting the market now but this can still hold its own. 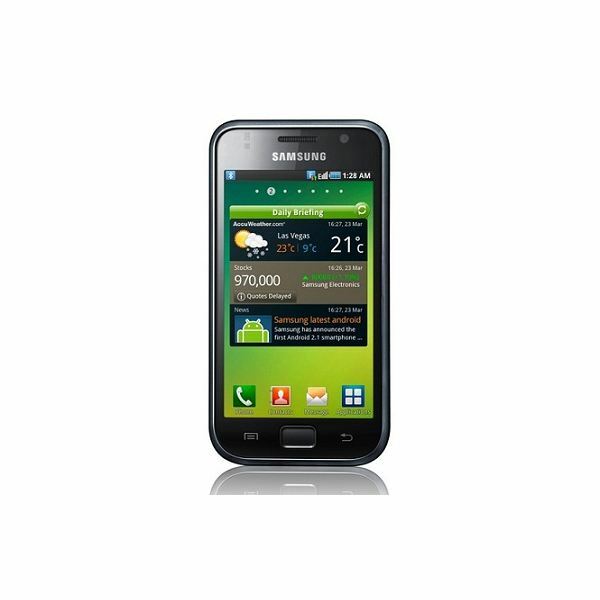 The Galaxy S shipped with Android 2.1 Eclair with the Samsung TouchWiz 3.0 user interface on top. It got an upgrade to Android 2.2 Froyo, and is now receiving an upgrade to Android 2.3 as well. The TouchWiz 3.0 UI is one of the best custom interfaces for Android. TouchWiz has improved a lot and has come very close to the HTC Sense UI in terms of usability and performance. The user interface is very intuitive and easy to use. You have seven homescreen panes which you can populate with widgets. Samsung includes a range of widgets providing a clock, weather, news feeds and social networking. You have four buttons on the bottom of the screen: Home and three customizable shortcuts. It also has the Android notification bar on the top with toggle switches for Wi-Fi, Bluetooth, sound and vibration. The whole interface is very fast and responsive. There is no lag in opening apps or menus. With the Android updates, the performance is improved even further. It comes with an enhanced Contacts and Messaging app installed. For text input, the Samsung Galaxy S features the Swype typing system which is much faster than the normal virtual keyboards in most touchscreen smartphones. It supports over 60,000 applications and games via the Android Market. The Galaxy S comes with a 5 MP camera with autofocus which can capture images at a resolution of 2592 x 1944 pixels. The image capture quality is really good in daylight. It doesn't have even an LED flash which means night time shots aren't very good. The camera interface is superb and easy to understand. It offers a lot of advanced customization controls as well as a lot of goodies like geotagging, touch focus, face detection and smile detection. The image capture quality is pretty good and will suffice for casual shots. The Samsung Galaxy S is quite good at video recording; it can record 720p video at 30 FPS. The video capture quality is really good. The Samsung Galaxy S is a multimedia powerhouse. The excellent display makes it an ideal candidate for watching videos and movies and it is really good at music playback too. It comes with a music player customized by Samsung. The music player interface is easy to use and has support for album art, playlists, albums etc. They also have equalizer presets and a cool scrolling feature which allows you to browse the music on your phone and change tracks. The audio quality is really good, the Galaxy S can easily double up as a dedicated digital audio player. You can use your favorite set of headphones with the phone through the 3.5 mm audio jack. It also has a video player which is very capable. It has a nice interface and supports DivX and XviD playback at 720p resolutions with ease. The 4 inch Super AMOLED display is great for watching movies and videos. The Samsung Galaxy S also comes with a built in stereo FM radio with RDS. It also has a cool gallery app which allows you to browse through the images and videos on your phone. It has a nice 3D interface and supports multitouch gestures. The gallery interface is fast and responsive. The Samsung Galaxy S is easily one of the best smartphones ever. It has been the best Android smartphone for quite a while, though there are now better options. Samsung also used it as a base model to create various carrier specific versions, like the Samsung Fascinate, with slight differences in the feature set. Check out the Samsung Galaxy S vs iPhone 4 comparison if you need help deciding between the Galaxy S and the iPhone. My vote lies with the Galaxy S. Also check out this list of the Top 5 Samsung Galaxy S Cases to protect your Samsung Galaxy S.